Chandan Fashion was founded in 1985 by Sarabjeet and Jatinder Pal Singh. Sarabjeet came to Winnipeg to study nursing. Originally from Punjab, India, Sarabjeet and Jatinder Pal met in Canada and they were married in Winnipeg in 1984. They started their first business in the Gerrard India Bazaar in 1985. In 1988 they rented and then in 1991 they purchased the building where Chandan Fashion is now located. The rest is history! Chandan Fashion sells stunning bridal wear including hand made lehengas and cholis, designer brand evening wear and casual wear. 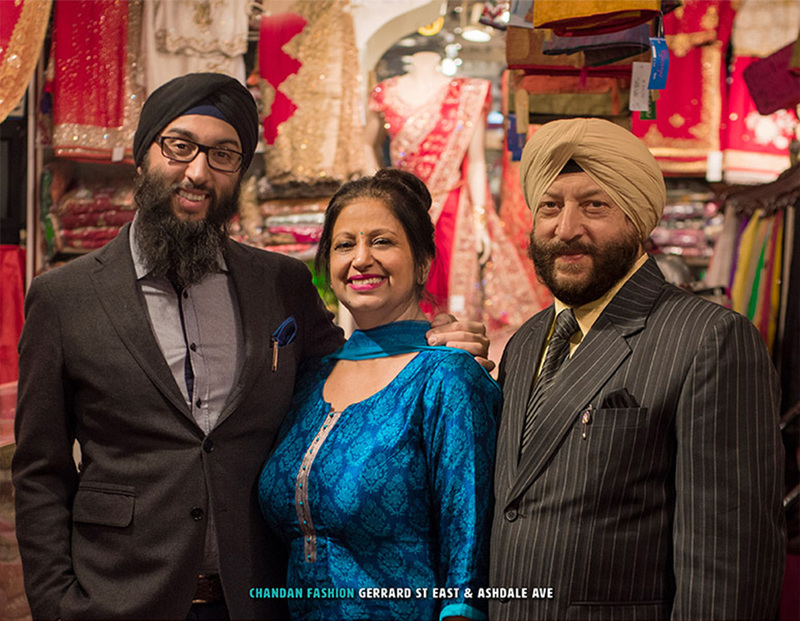 Chandan Fashion is a landmark of the Gerrard India Bazaar and has been featured in the Toronto Star, Globe and Mail and the New York Times.